In the Chihuahuan Desert of Big Bend National Park, every few years the bluebonnets put on a good show. 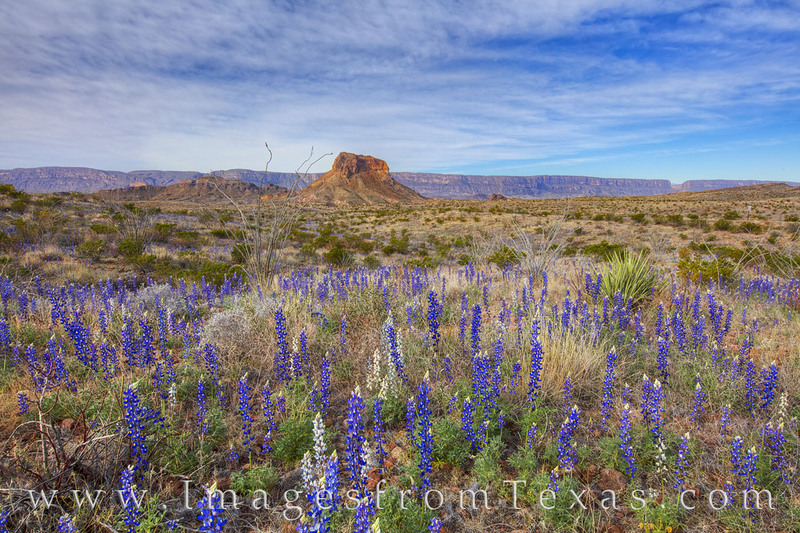 In Februay of 2019, perhaps the best bluebonnet display in Big Bend in a lifetime occurred when these wildflowers filled the rugged landscape in a sea of blue. Here, Cerro Castellan rises over 3,000 feet into the cold spring air. In the distance on the far right, the opening of Santa Elena Canyon is evident, as well. Photo © copyright by Rob Greebon.